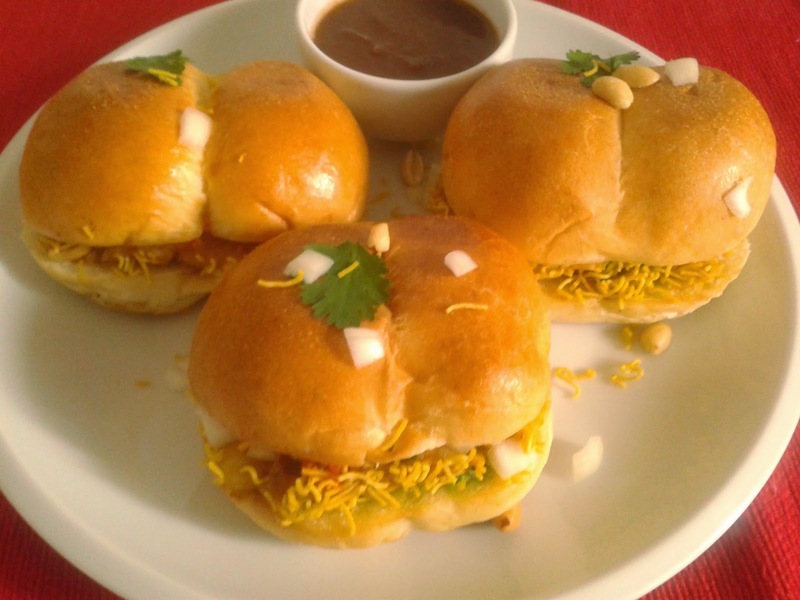 Dabeli is a delicious indian snack/street food. It originates from Kutch Gujarat. 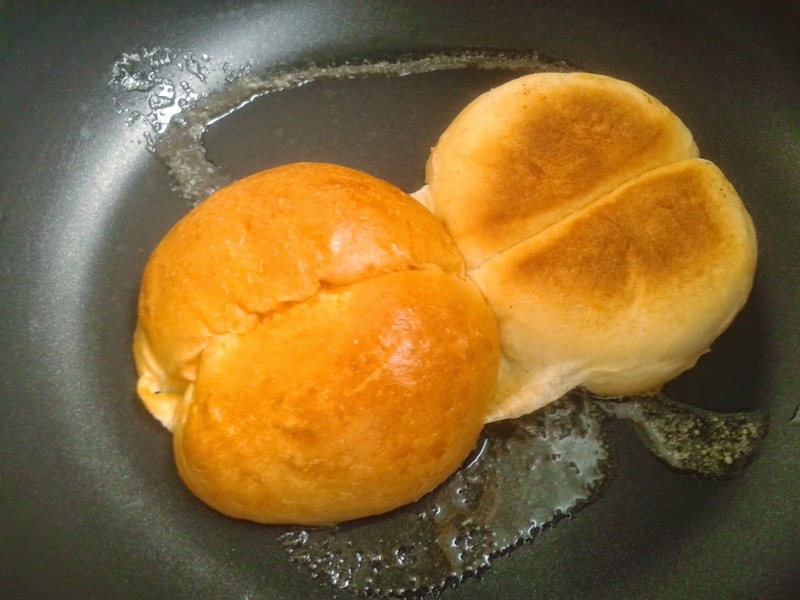 Indian buns(paav) are stuffed with potato mixture. It tastes spicy, tangy, sweet and crunchy. Initially my Mom use to make the Dabeli masala at home but now as its easily available in market so prefer not make at home. 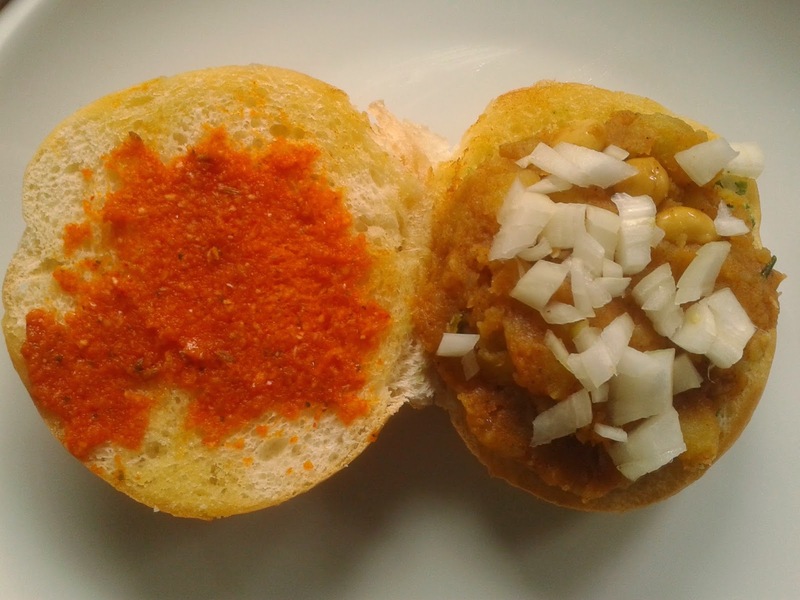 To make the dabeli like street vendors its a must you add dabeli masala and Khajur Imli Chutney. Also check the Chutney Recipe. 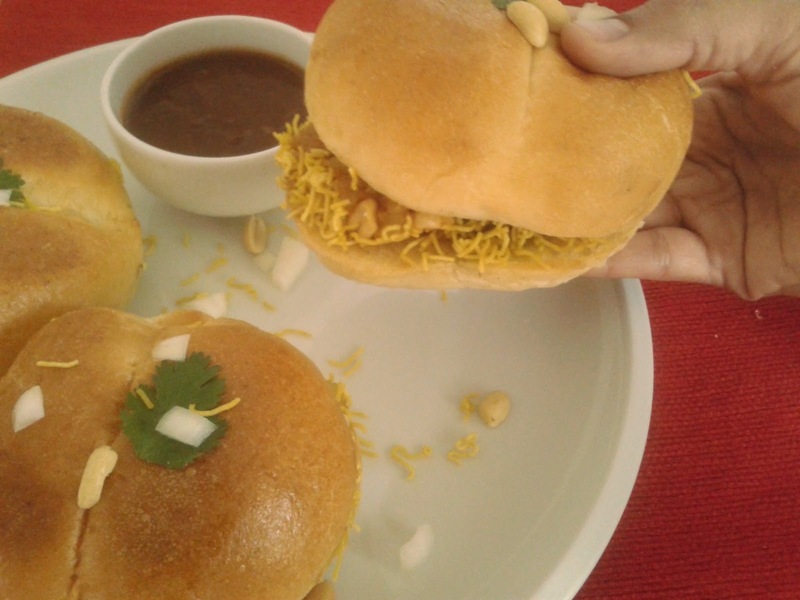 Dabeli buns are a little big in size then paav bhaji or vada paav so that you can fill the stuffing properly. 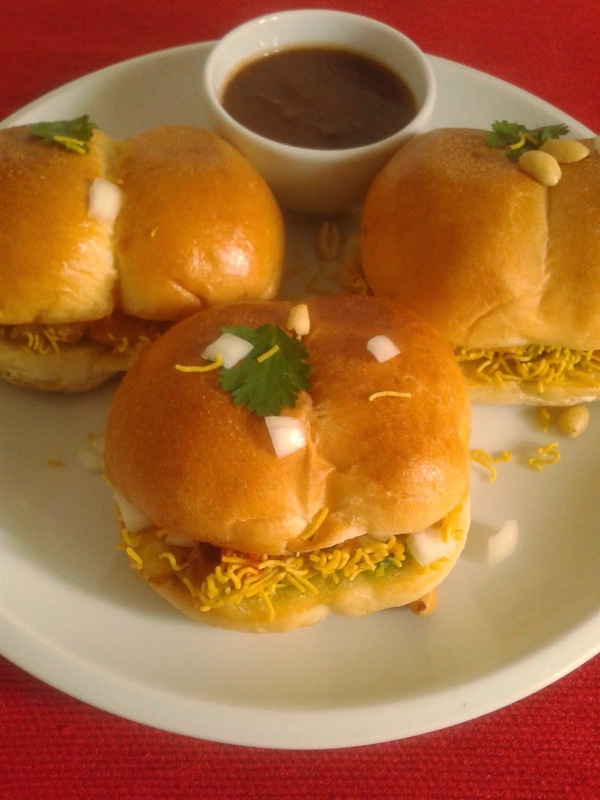 Dabeli is served with chutneys and sev on top which makes the dish yummy. So lets proceed step by step. 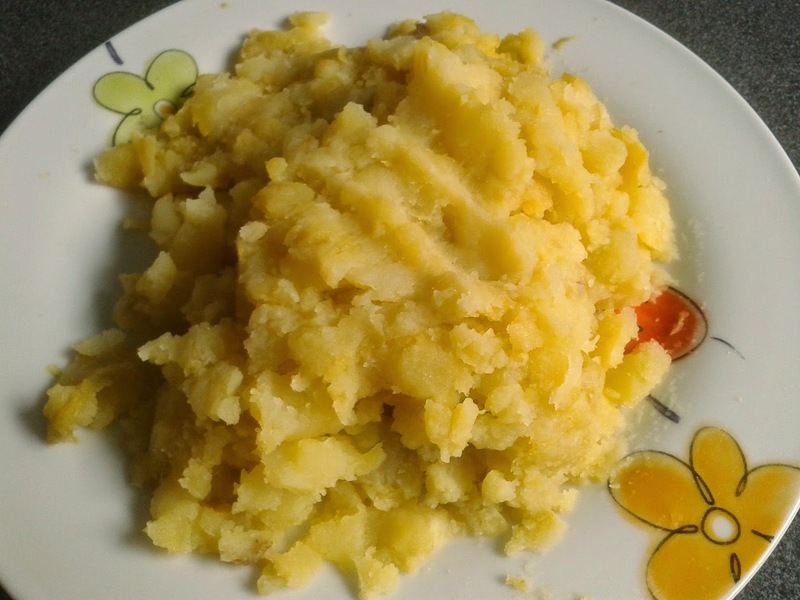 Boil the potatoes and mash them properly so that there are no lumps. 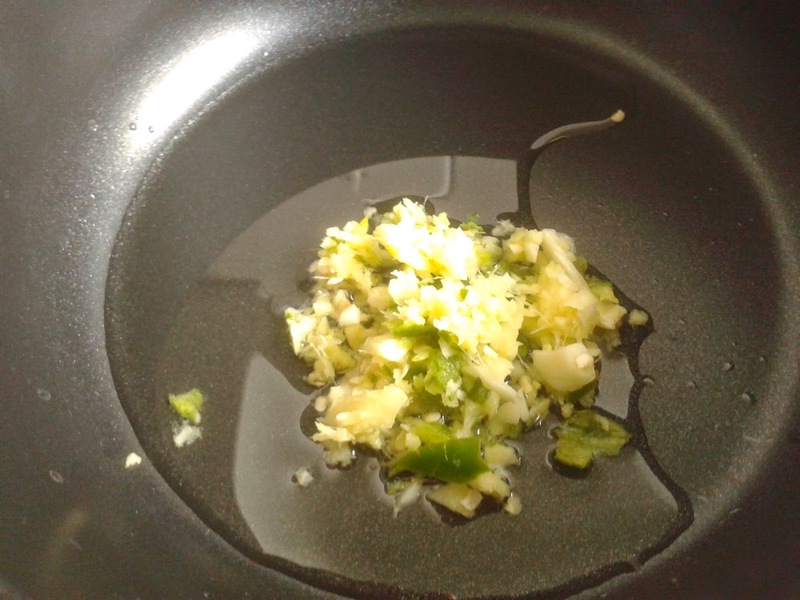 Add ginger, garlic and chilli paste and fry for 3 minutes on low flame. 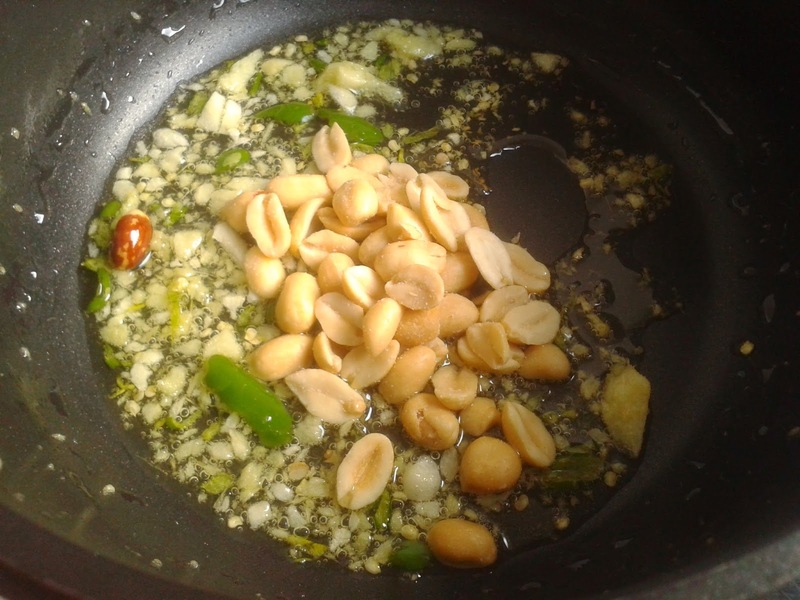 After the paste leaves out the raw flavour add peanuts to give dabeli a crunchy feel. 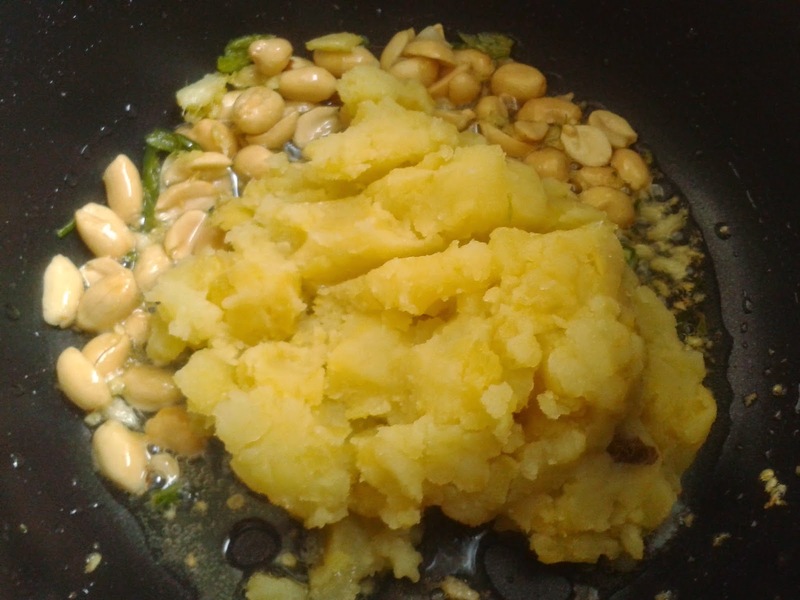 Saute the peanuts for 2 minutes and add the mashed potatoes. Now add the masalas (spices) including dabeli masala. 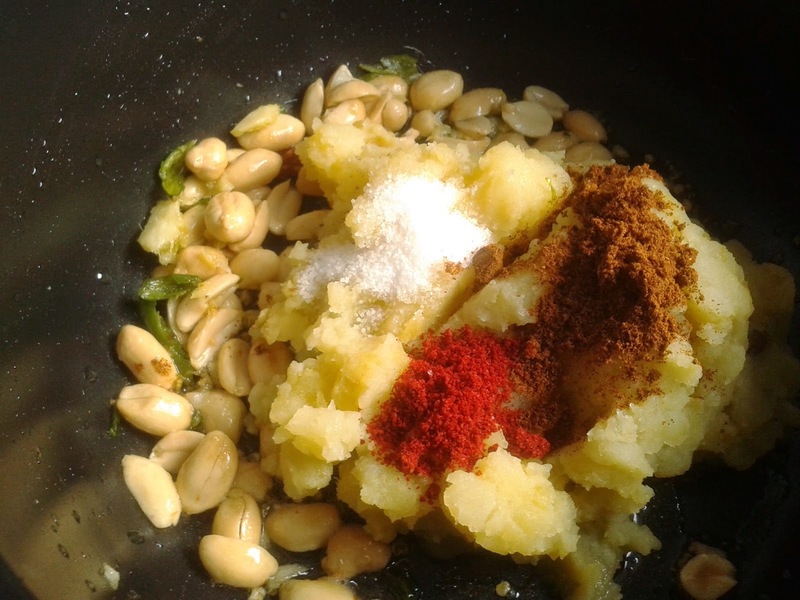 red chilli powder, salt, lemon juice and Khajur imli chutney. Mix all the ingredients well. The Dabeli Stuffing is ready. 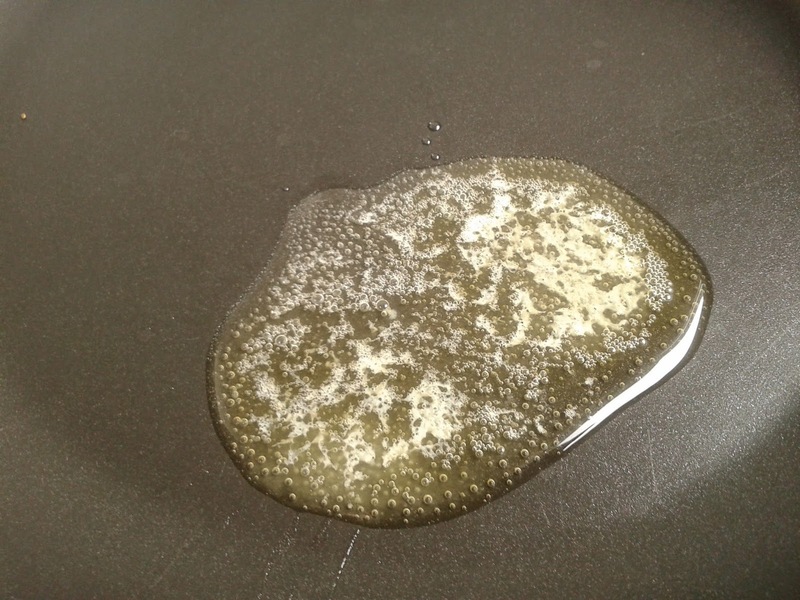 Heat butter in a non stick pan. Slice the paav with the help of knife in such a manner that the paav doesn't break from between. Place the sliced paav in the pan and roast it from both sides in butter. Be careful that the paav doesn't burn. Now place the stuffing we prepared on one side of the paav. Put some chopped onions on top of the stuffing. Reheat on the pan if required and serve hot with Khajur Imli Chutney. 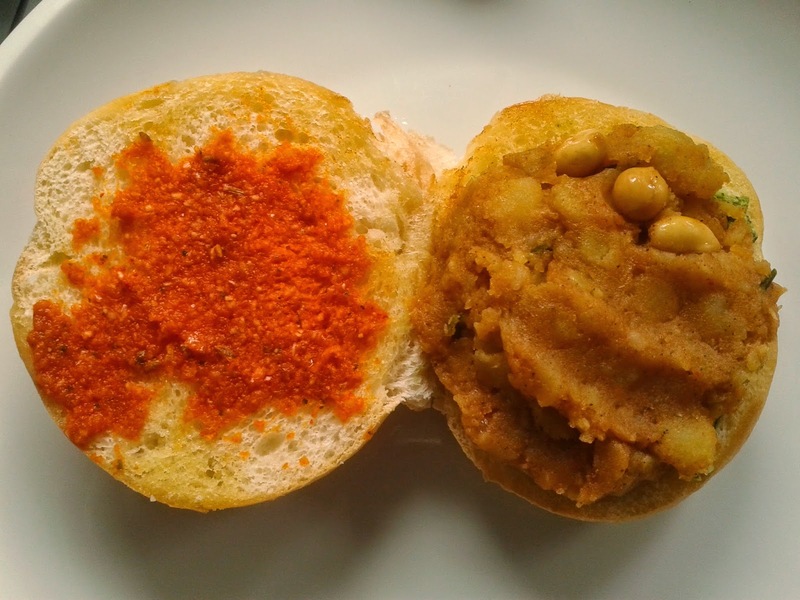 Spicy and tangy potato mixture stuffed in Indian buns and served with Tamarind Dates Chutney. In a pan heat oil and add ginger chilli garlic paste and cook for 2-3 minutes. 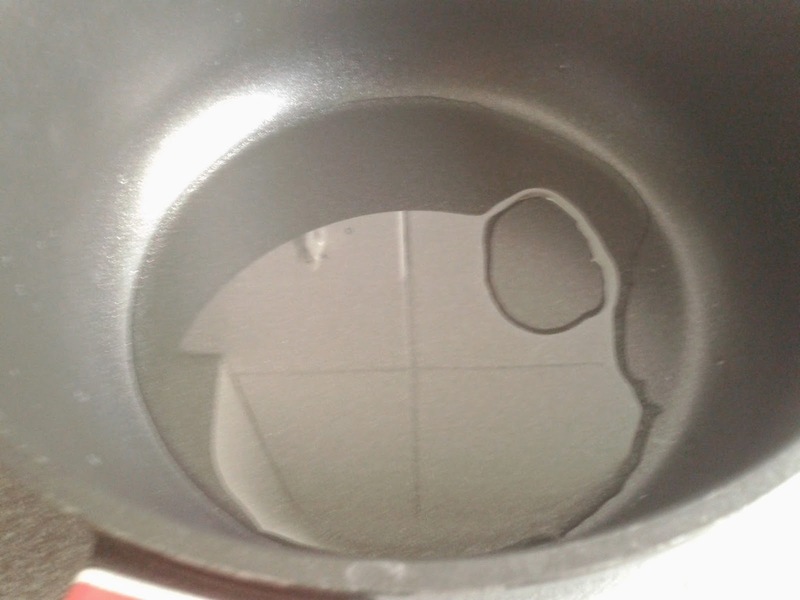 After the paste leaves out the raw flavour. Now add all the masala like dabeli masala. red chilli powder, salt, lemon juice and Khajur imli chutney. Mix all the ingredients well and the Dabeli Stuffing is ready. Slice the paav with the help of knife in such a manner that the paav doesn't break from between. Now heat butter in a pan and place the sliced paav on tava and roast it from both sides. Be careful that the paav doesn't burn. 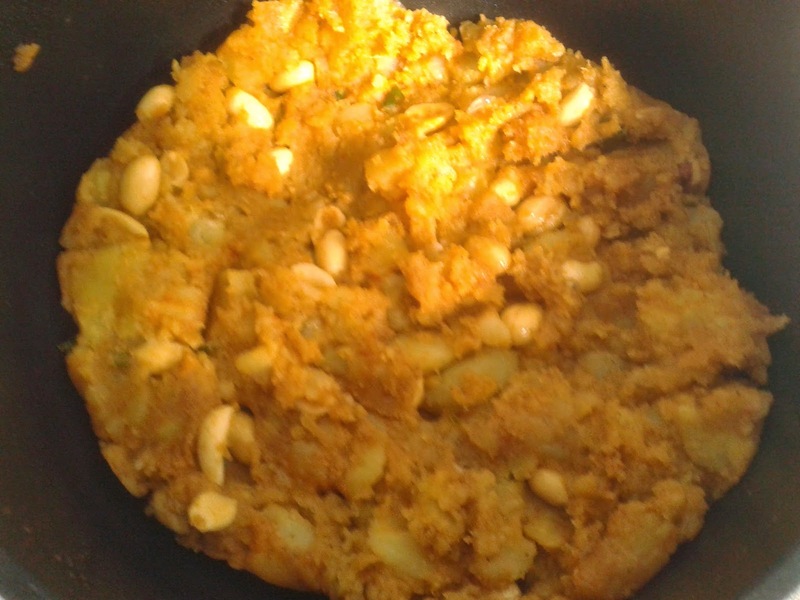 After the paav is roasted remove it from tava and place it on plate. 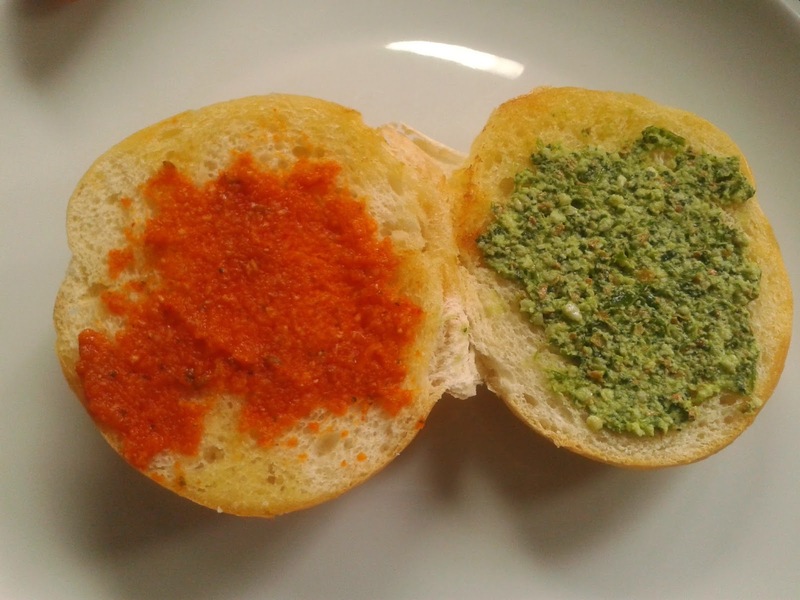 On one side of paav apply garlic chutney and other side apply peanut coriander chutney. Now place the stuffing we prepared on one side of the paav and on top of that stuffing and also onions. 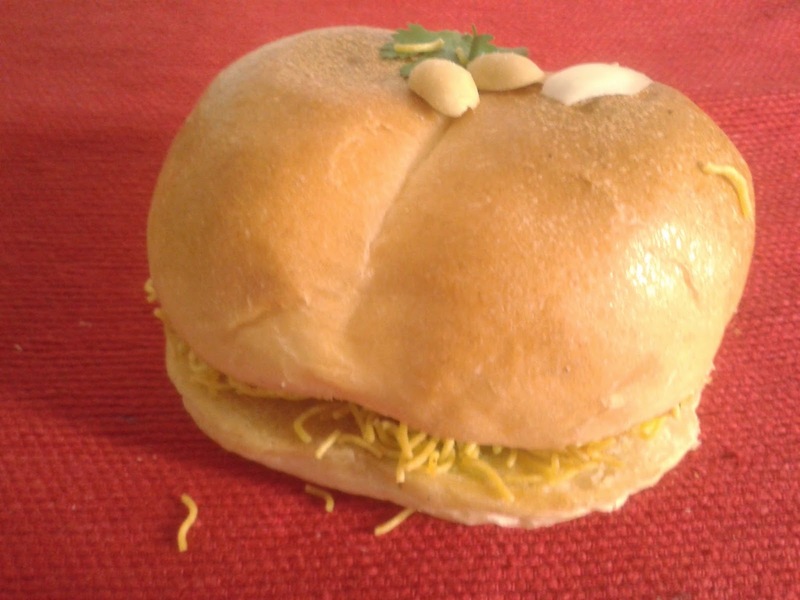 Drizzle with sev, peanuts, onions and our dabeli is ready. Serve hot with Khajur Imli Chutney.